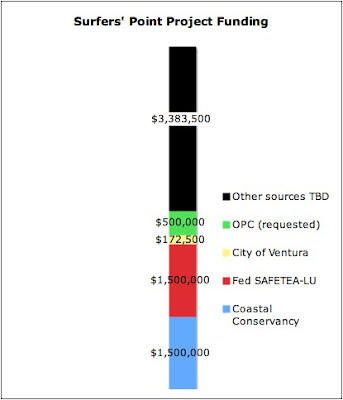 On June 5th the California Coastal Conservancy dedicated $1.5 million to the Surfers' Point Managed Retreat Project. This makes for a total so far of $3,172,500 for project construction. Originally scheduled for construction beginning October 2008, the project is awaiting additional funding for construction to begin in the fall of 2009.